Jed Clampett step aside. we are the modern day clampetts--headed to Californ-I-Ay for to find our future. 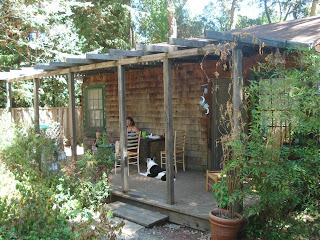 although our home strikes more of a resemblance to the clampett pre-oil abode, we are happy here and it suits us well.